Hey everyone! I'm on a roll with blog posts eh? 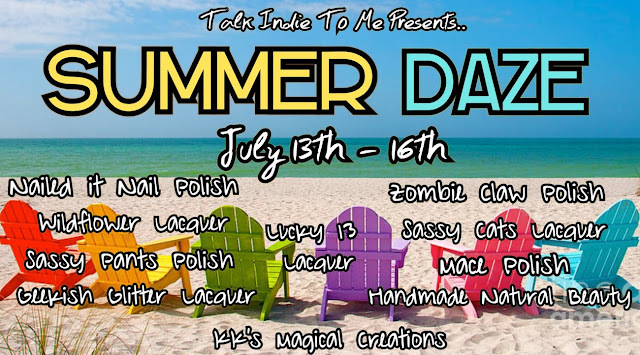 Talk Indie to Me is a monthly collab box created by Nailed It Nail Polish and Zombie Claw Polish, which features guest makers every month. 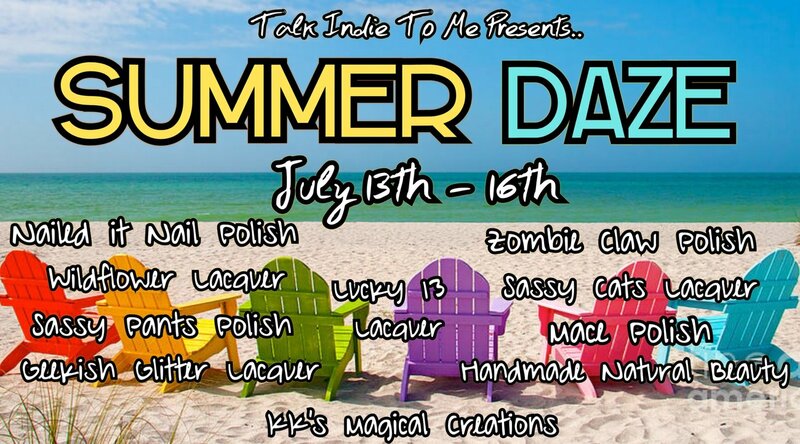 The theme for July is the fitting..Summer Daze! 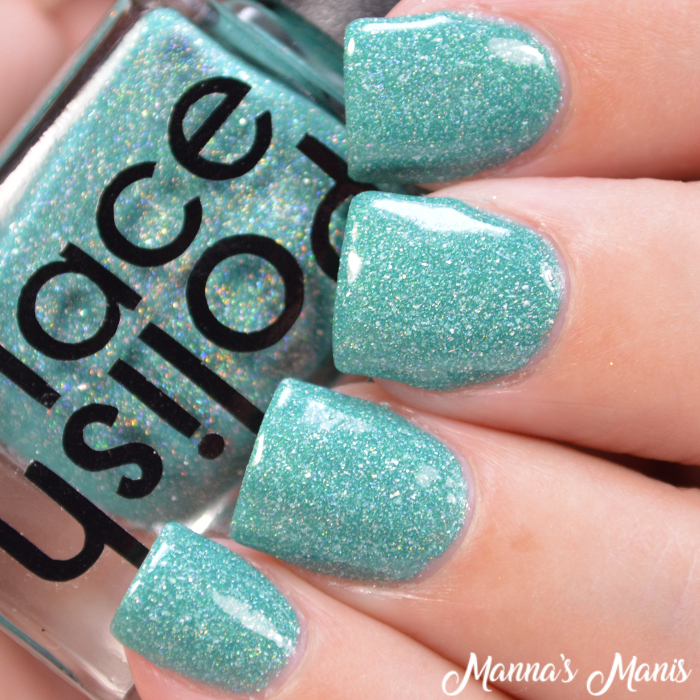 Mace Polish asked me to swatch her July contribution and it's gorgeous guys! 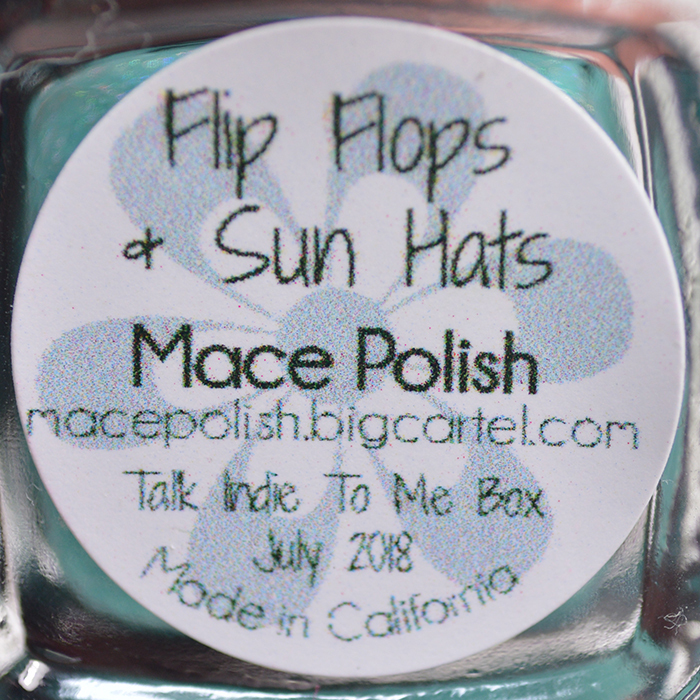 Flip Flops & Sun Hats is a neon blue green base with a subtle multi chrome shift from green to blue to gold and packed full of holo flakies. It is black light reactive. I don't have a black light so I was unable to get cool pics of it that way. 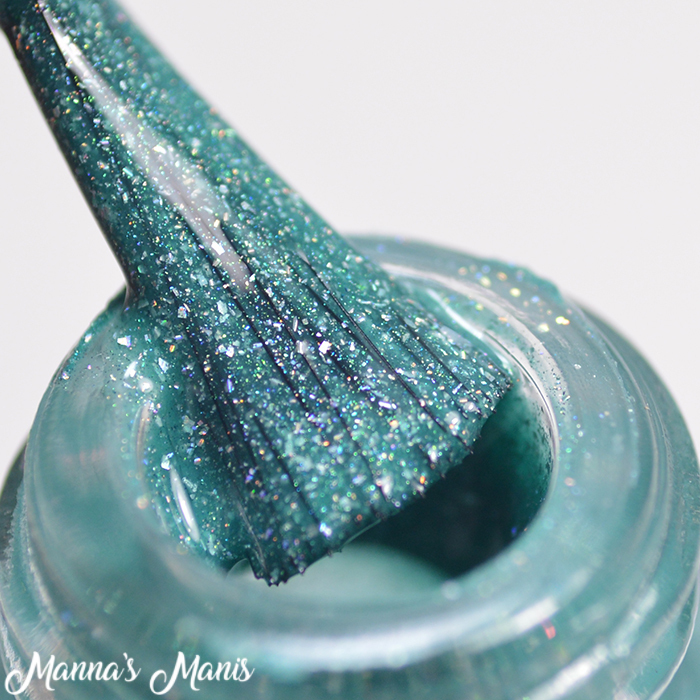 Formula is on the thicker side, but it is not goopy and is easy to apply! Shown below is 2 coats topped with Static (Mace is rebranding this month) Glossy Top Coat. This along with all the others will be $11 each. This will be available July 13-16 on Talk Indie To Me!